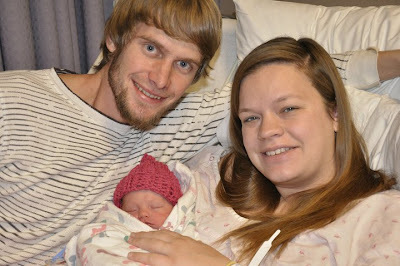 Addison Joy entered the world on Monday, January 17th at 7:43 via c-section! She weighed 6 lbs 15 oz and was 19 1/2 inches long! Our precious little girl was breech and has hip dysplacia which means that her hip joints have not formed correctly and she has to be placed in a plavik harness for 3-4 months so her hip joints can form. She is absolutely gorgeous and I can't express how much we love her! Nick and I are so blessed to have this perfect little bundle of joy! Congratulations on your new bundle of joy, how exciting! BEAUTIFUL! She is gorgeous:) Congrats! Congratulations. I'm so happy she is here with you guys. Congrats Steph! I'm so excited for you guys!! And speaking as a Physical Therapist, I can tell you that the hip dysplasia is fairly common and she is going to be just fine and shouldn't have any lasting effects from this. I hope you're feeling good and everything is going well! E-mail me all the details when you're feeling up to it!! Lots of love. Congratulations!!! so excited for you guys... what a beautiful family! I had a little girl in December of 09, which is why I have been neglecting my blog :/ she just turned one... and we named her Addison as well! Love it! :) Congratulations... enjoy every minute, and take a ton of pictures! I am so so so so happy for you Steph! Congratulations again to you and your entire family! 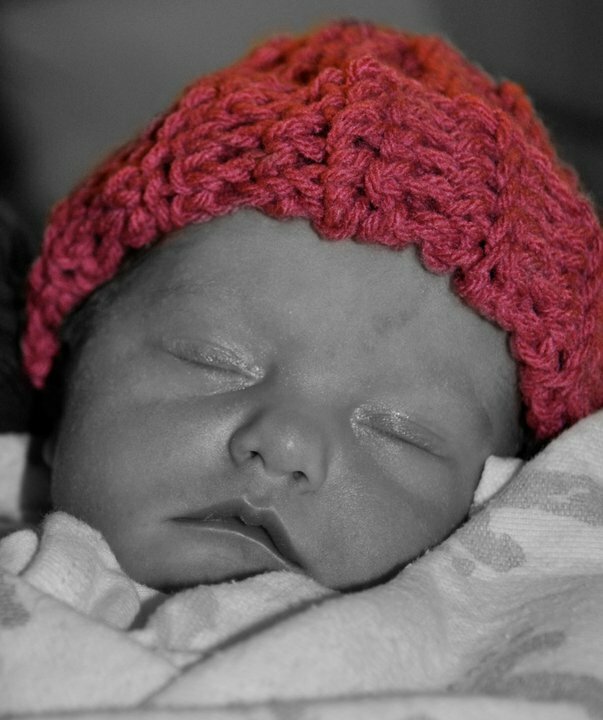 Lots of love and prayers for lil Addison! Wishing you all many Blessings as you start your life together as a Family! Congratulations on your beautiful new darling daughter. Welcome to the world, Miss Addison! What a beautiful little bundle of joy! A lady at my church had a little girl last year that had the same condition and was in a harness for a while and was such a trooper! She is now crawling fine and is such a terror to her older siblings! Hope all goes well. She's so precious! Thanks for sharing a picture. God Bless your happy family! Congrats Steph! She is beautiful! She will bring you and your husband so much joy! Oh my goodness!! Congratulations Stephanie!! And you're stamping already???? WHAT? She is beyond beautiful and you look amazing! I looked like Herman Munster in the photos from right after my c-section.